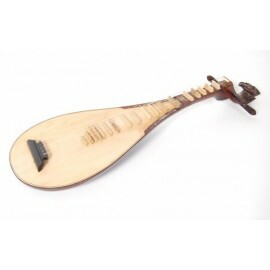 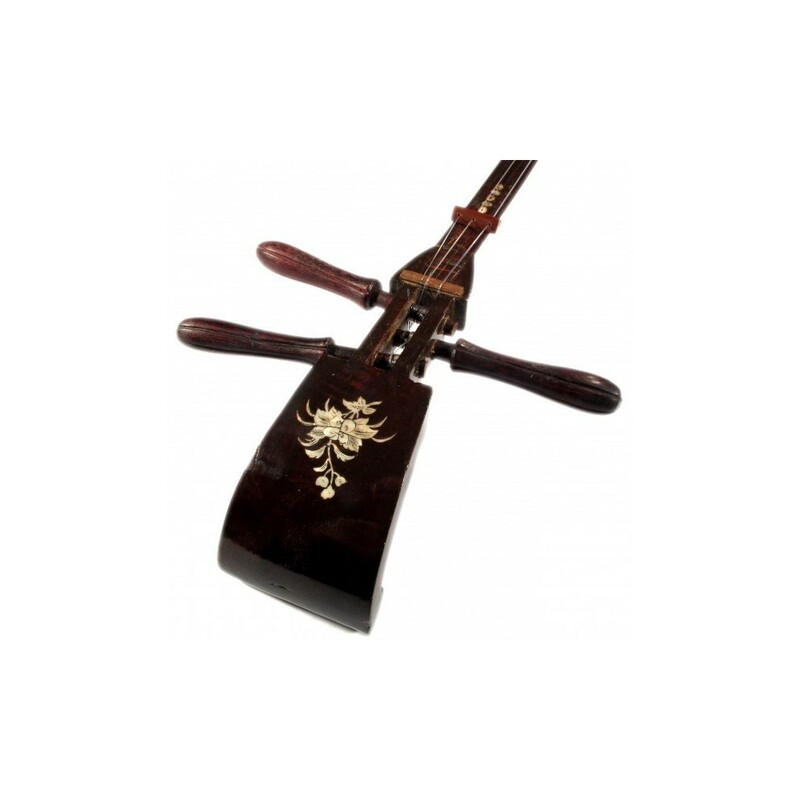 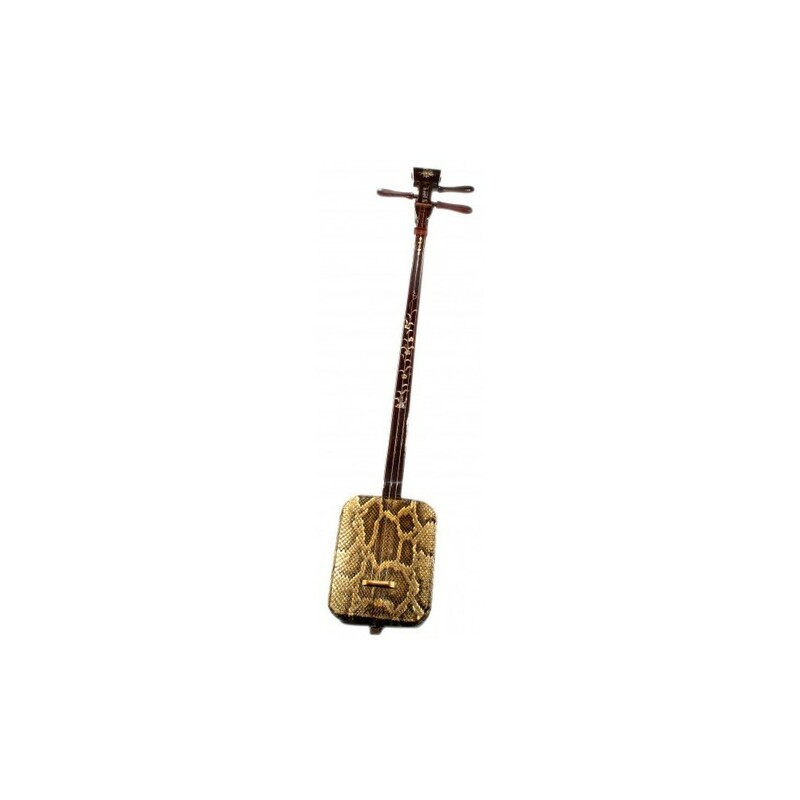 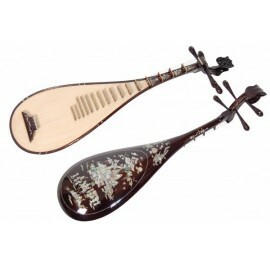 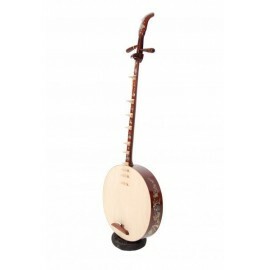 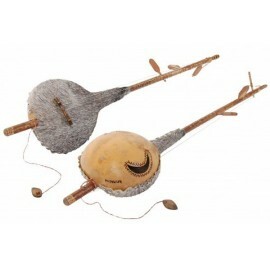 Three-stringed lute created during the Lê Dynasty, between the fifteenth and the seventeenth century. 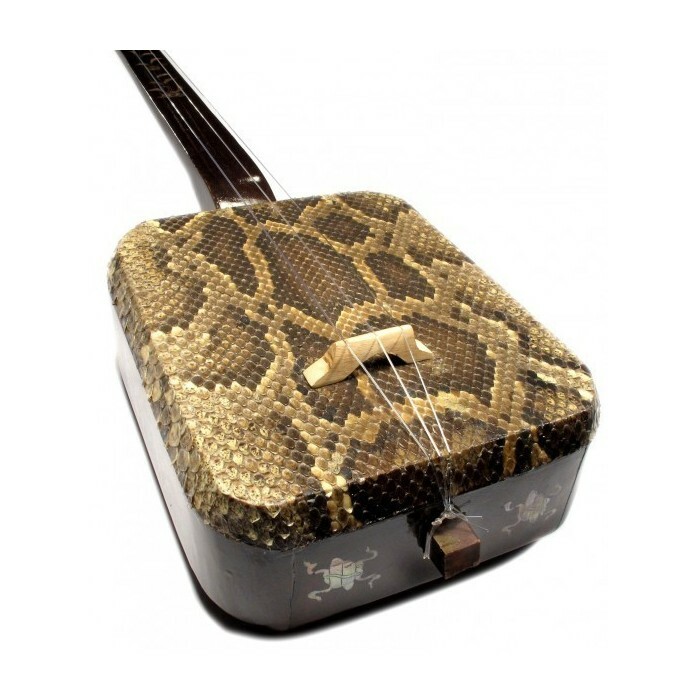 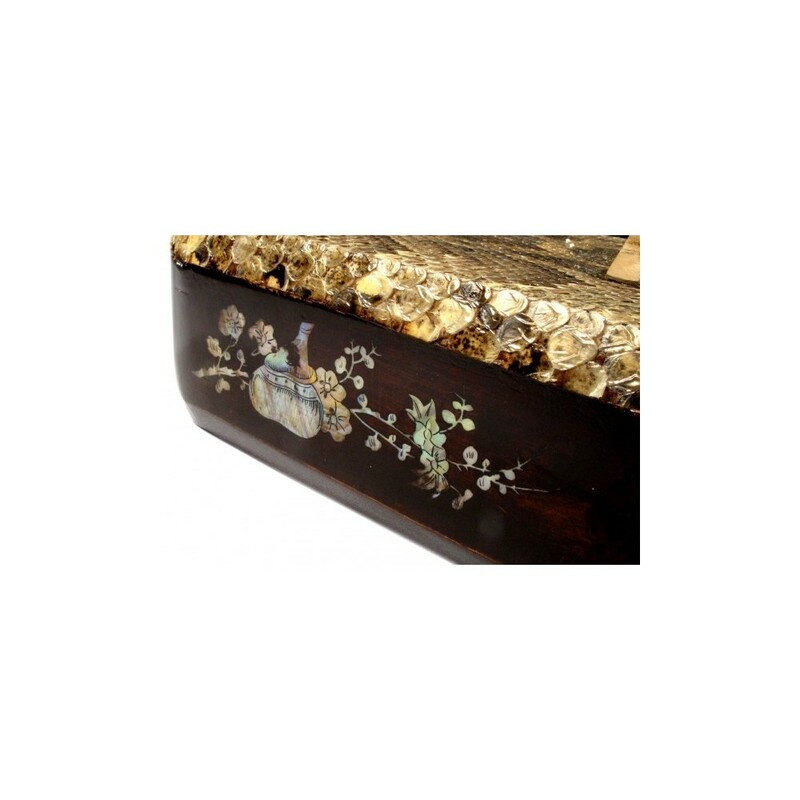 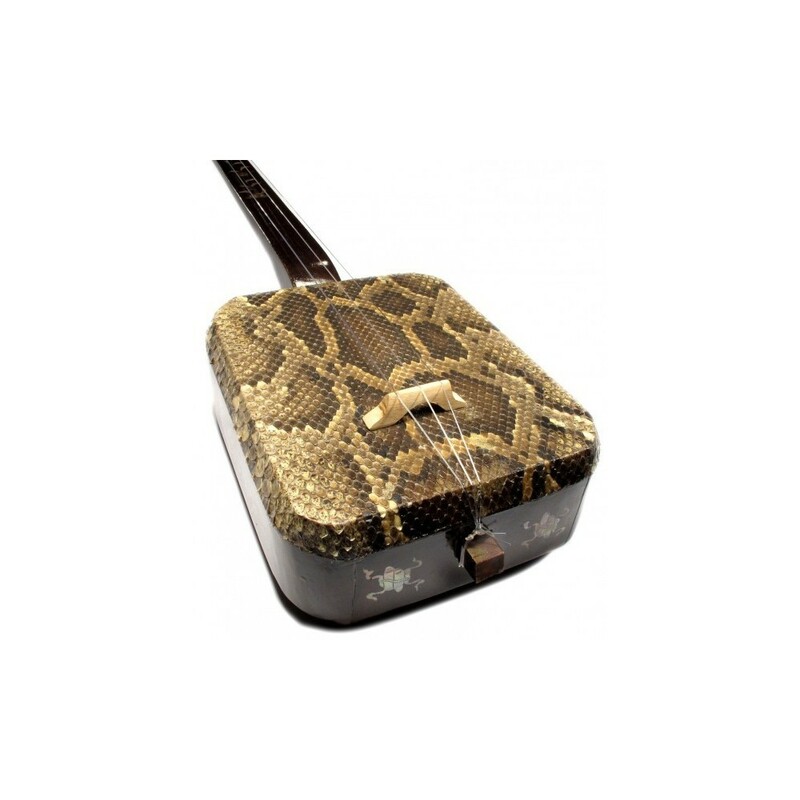 The front of the body is covered with python or iguana skin, while the rear part shows a fretwork. 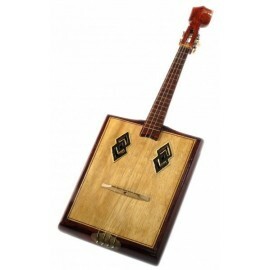 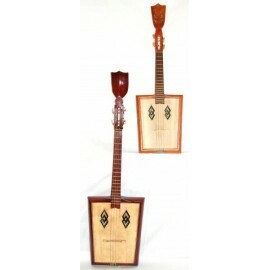 The three strings go over a wooden piece on the neck. 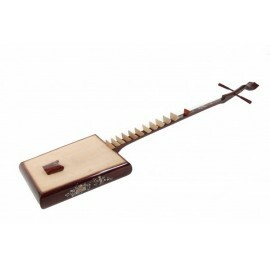 They are fastened to the end of the sound box and to the bridge. 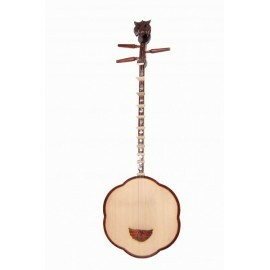 By moving the wooden piece up and down the strings pitch becomes higher or lower respectively. 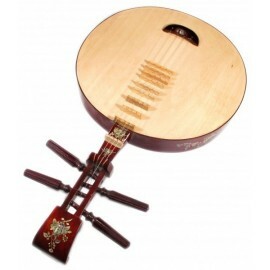 Strings are tuned to the fourth and then the fifth scale degree, which can be G-C-G1, or G-D-G1.